Today, The White House released funding possibilities for the American Jobs Act, and while the media chirped away at projections and predictions, I turned my attention back to Pres. Obama’s speech to a joint session of Congress. Listening to it on September 8, I thought of all the newly enrolled College Composition, First-Year Writing, and Intro to Speech students. Could Obama have made his conclusion any clearer? Well, Biden could have held a neon sign reading Pass This Bill Now, but with Biden’s track record, numbering the ways that could go wrong beggars the mind. And it’s a challenge to save for another post. Here, I’m interested in how Obama gets to his conclusion. In just a half-hour, he manages to argue that the fractious, fractured Congress should not just agree to consider his bill, but also pass it promptly. And he does so without sounding crazy. How, you wonder? Two words. Stasis Theory. Stasis theory, as we’ve mentioned before, is an ancient rhetorical concept that highlights how arguments are built on consensus as well as dissensus. That is, arguments develop at predictable levels of crisis—there are general places where consensus falls apart and persuasion is called for. 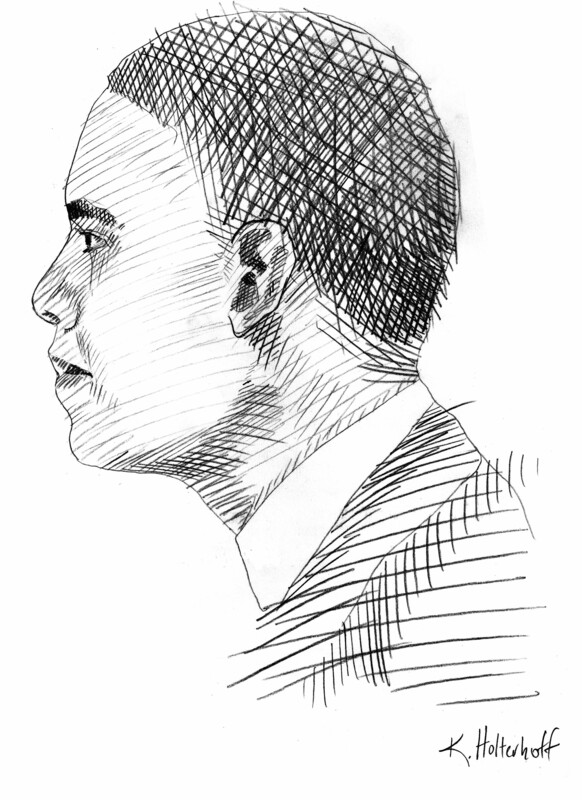 Obama locates the job crisis at the highest level of possible disagreements; to use the classical system is to call the level stasis metalepsis, where we argue over the question of “What should we do?” According to stasis theory, this means Obama has to assume or persuade the audience* that there is agreement at all previous levels of argument. What are the other levels? The ancient rhetoricians had stasis stochasmos (conjecture), stasis horos (definition), and stasis poiotes (quality) as potential consensus crises. Obama’s speech moves so as to recognize the possibility of dissensus at the lower levels and then dismiss them, leaving the only place for debate that of policy action. Obama opens by stating: “I am sending this Congress a plan that you should pass right away. It’s called the American Jobs Act.” At first glance, stasis-wise, this might seem overly obvious—who’s going to argue Obama did or did not submit his plan for congressional approval? But I think emphasizing it serves an important point. Obama makes clear what he is not doing: he’s not establishing a committee or commissioning a report or soliciting advice. He is sending something concrete for Congress to act on. They have to take the next action. There should be nothing controversial about this piece of legislation. Everything in here is the kind of proposal that’s been supported by both Democrats and Republicans—including many who sit here tonight. And everything in this bill will be paid for. Here he defines the act as non-controversial, by implying that bipartisan, fully-funded mandates always avoid controversy. He repeats this kind of definitional claim throughout (look for all his “Democrats and Republicans alike” moves) to support his non-controversial claim. Doing so, he attempts to eliminate argument at this stasis level and undercut Congress’s opportunity to take the bill to pieces in committee meetings and through Congressional amendments—to make the crisis about redefining the plan until it meets everyone’s approval. Not necessary, Obama claims. What everyone needs is a little less conversation, a little more action. And maybe some of you have decided that those differences are so great that we can only resolve them at the ballot box. But know this: The next election is 14 months away. And the people who sent us here—the people who hired us to work for them—they don’t have the luxury of waiting 14 months. Here Obama implies that partisan loyalty or individual career success must be subordinated to national prosperity and “the right thing.” In other words, the discussions Congress members might be having with themselves or their party leaders—about what’s more important, improving the country or improving their campaign odds—cannot be an argument. There is only one thing to do—the right thing—which is to put the country’s good above one’s career. Nothing is more serious than this American Jobs Act. This leaves Obama to conclude that the only place debate can happen is whether or not Congress will act. Any other kinds of argument—such as redefinition or different value hierarchies— none of them hold up, according to Obama’s line of reasoning. That leaves Congress with the simple choice of choosing or failing to do what is right. Congress members will come up with objections and counters, of course. Obama’s speech is neither magically binding nor likely to persuade his firm ideological opponents. But his speech did make it more complicated to argue against the American Jobs Act because now its opponents have to counter Obama’s claims of clearly present, bipartisan-supported, fully funded, vital action, as opposed to just the plan itself. This means accepting Obama’s frame or coming up with a completely different, competing frame of the Act. Either will need to be sold to the American voters, without the benefit of a Presidential podium and full-court media coverage that comes with a Joint Session of Congress. * I recognize Obama’s speech dramatically demonstrates how all major presidential addresses to Congress have at least two audiences: the immediate legislators and attending policy-making organizations as well as the general American public. But since I am focusing on stasis theory here, not doing an audience analysis, I avoid muddying the analytical waters and just use “audience.” Furthermore, I might also argue Obama needs to persuade both Congress members and the American people that the only real question here is how fast to pass his act, and so in this case, Congress and the public belong to the same audience, if we, unlike Salon’s Andrew Leonard, read the speech as a sincere effort. But for the cynical (or is it realistic) view, see Leonard’s read. I take my definitions for Argument Stasis theory from Crowley and Hawhee’s Ancient Rhetoric for Contemporary Students, though my conception is influenced by Fahnestock’s 1989 “Accommodating Science” (Written Communication 3.3). My idea of value hierarchies comes from Perelman and Olbrechts-Tyteca’s The New Rhetoric. CNN.com offers a broadly rhetorical comparison of Obama and Truman’s second-term campaign strategies, though the brush strokes are a bit broad. Last month, The Washington Post covered a completely different solution to unemployment (and all that ails you). And here’s a collection of tweets that bookended and interspersed the speech, for a log of knee-jerk reactions, policy minutiae, and speech-based free-association responses (my favorite: 7:27 pm, Jessica Yellin, Chief White House Correspondent, offers, “POTUS tries to use the Republicans tax pledge against them jujitsu style”). Here are two fact-checking reports: Politifact.com and FactCheck.org. The Washington Post also devoted a column of their Fact Checker blog to it, but their tag “the truth behind the rhetoric” puts my teeth on edge. So I will not link to it. Oh, all right, fine, here. Now everyone can have a seat at the table. Or you can check yourself. Here is the transcript, and here is the video. The White House also has up an enhanced version, which I want badly to have a commentary track featuring Mara Liasson and Aaron Sorkin, but I somehow doubt that’s what happens.